appointment today. You won’t be disappointed. With our monthly deals, and patient sales staff, we’re here to make sure the car buying process is as affordable and hassle-free as possible. We send out coupons for service and new cars every month. Don’t miss out on these offers! Our finance experts strive to find you a perfect monthly deal on your car even before you step foot in the dealership! Apply online now and save time! 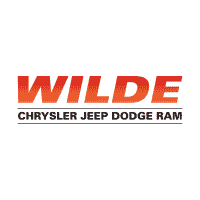 Wilde Chrysler Jeep Dodge Ram dealer in Waukesha has a great selection of new Chrysler, Jeep, Dodge, and Ram vehicles, as well as used vehicles. We also offer professional auto repair and service in the Milwaukee area, including money-saving service coupons. Buy your next new or used vehicle with confidence from an award-winning dealer and enjoy and exceptional shopping, buying and ownership experience. We look forward to serving your automotive needs and hope you choose Wilde Chrysler Jeep Dodge Ram for your next new or used car purchase in Milwaukee. Since 1984 Wilde Chrysler Jeep Dodge Ram has operated in the same area, invested in our community, and earned the reputation of excellence that keeps our customers coming back. We decided to do away with the high-pressure sales tactics and gimmicks. We wanted to focus on becoming the best car dealer in Milwaukee by offering a tremendous customer experience.